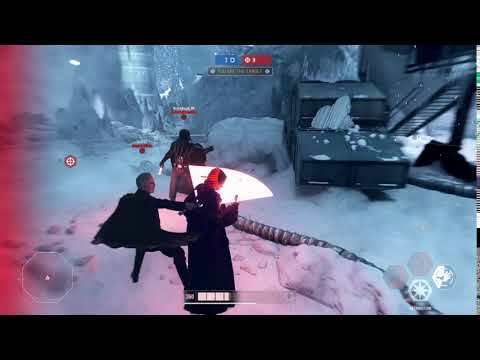 Anakin can be countered and beaten - video proof inside! No, honestly Luke, its true! 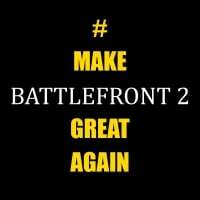 I know I am not toeing the party line by saying its broken or needs a nerf, but its true! 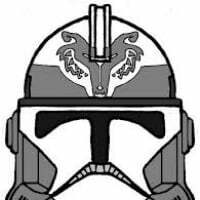 Notice how I am using Phasma, who is seen as one of the worst villains by many of the amazing players on here. And loom at the beautiful counters! A stun droid. A stun! Who would have thought that would stop a colossus one hit killing machine like Anakin?! And actually rolling out of the way of his saber hits. Beautifully timed! Well placed shots! And down goes Anakin. Surely I enter the Guiness Book of Records for being the first player in the history of Battlefront 2 to find a counter to Anakin and kill him? 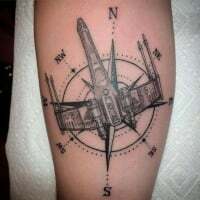 Because according to some on here he would have one shotted me from across the map, or his passionate strike would destroy me, or his general damage would annihilate me. Notice he is at full health, and takes my health down to about a 5th left with a couple hits. But unlike some on here, I actually fought back and he...well, he died! 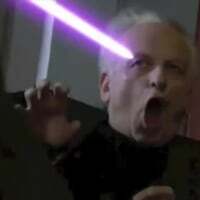 I didnt put my controller down after he hit me, pick up my pitchfork, march to my PC and furiously type out that Anakin is broken and needs nerfed. 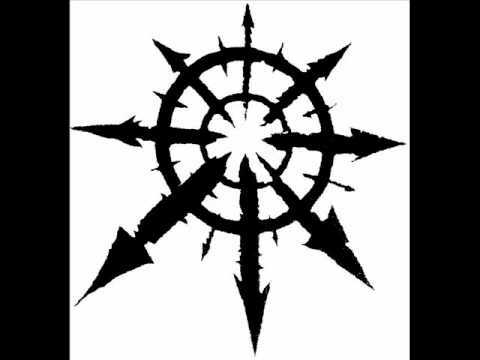 No - I countered. With a stun droid and some ingenuity of my own using rolling. Almost like Batman. Notice this strange thing called teamwork. 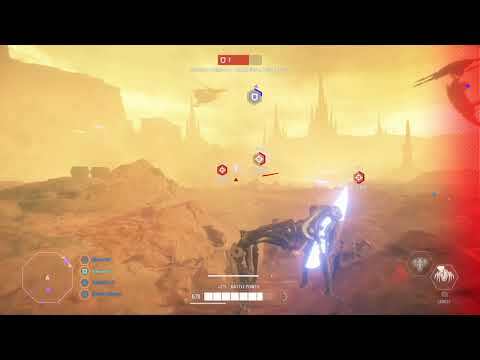 Iden stuns and places her shots, I have my droid at the ready, and Grievous flies in with his aggressive hits using those skinny arms. And we beat Anakin. But he should have one shotted you, hes broken, I hear you cry. Nay I say. So there you go, live footage of beating Anakin with a couple of counters. 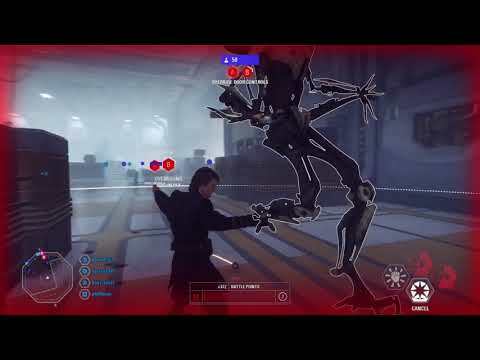 Notice when I power up heroic impact, that Vader notices I am building up and wisely moves out the way, ready to smash my head in once the animation is finished. He also holds block for good measure. Do be like Vader when taking Anakin on. 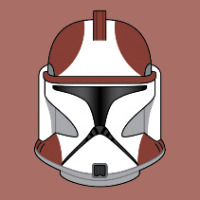 If you are a trooper, move well away from him. Notice how Dooku goes flying into me thinking he can take me down. Silly Dooku. He effectively kills himself by letting me have his damage to hit back at him. Don't be like Dooku. That is silly. A simple wait of a few seconds and then you can continue trying to kill Anakin at your leisure. So there you have it. He doesnt one shot everyone at will, and he can be countered and beaten fairly easily I might add. Honestly I don’t think anyone is overpowered to those who know how to adapt. In fact I played a round against a higher level Anakin and had no problem just stay away when you see him about to go nuclear. It was actually pretty average and I had no problem with him. Seriously, dude! The real evidence is that you should stop spamming and immediately start blocking when he goes nuclear, and you won’t get ohk. For troopers, I have heard that melee and stinger pistol can both break through his damage reduction while in the stance. 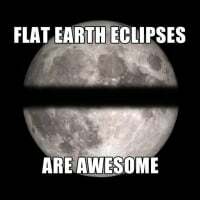 Can anyone confirm? That's just a bad Anakin player honestly. 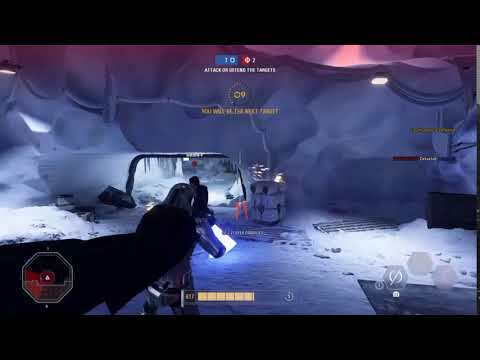 I've had people try to counter my Anakin with Phasma before and they got wrecked. Her stun droid will keep attacking him while he is in his heroic might animation allow it to build up to high damage. Yeah his defence is generally poor. You have beaten me to it. I was doing my tests and I found out there are only 2 things in Villains' arsenal to stop Anakin's Heroic Might: Phasma's Droid Stun and Phasma's 3rd Staff Strike. Both of these cancel heroic might, and no other villain feature can do this. So if there is any counter evidence its just a bad player? Surely if thats the case the videos showing Anakin OHK a team in HvV is down to them being bad players of their heroes then? Those videos do show bad Anakin players. They're engaging you inside the droid stun radius instead of pulling you out of your safety net like they should. They are saber mashing wildly instead of switching to block when you start firing your gun at them. While I agree that Phasma is one of the best counters to Anakin right now (Vader is a good counter as well in my experience), you can't say that just because he has a few counters that he isn't OP right now. I have played about 35 HvV since the update, and the hero team has won about 29 of them, with Anakin at the top of the leaderboard in about 27 of them (and was #2 on the leaderboard in all but 1 of the other 8). I've wiped whole teams with Heroic might, though I will admit the players were goobers that just saber mashed me during the animation and didn't block. I don't think any ability in this game should be able to deal the kind of damage that heroic might can do. The most damage that any other heroes'/villain's ability in the game can do to a single target (before star cards) is 200 (a tie between Obi-Wan's defensive rush, Han's Detonite Charge, and Lando's Sharp Shot, so why in the world does Anakin have an ability that can one shot multiple full health villains with no starcards? It's ridiculous to say the least. 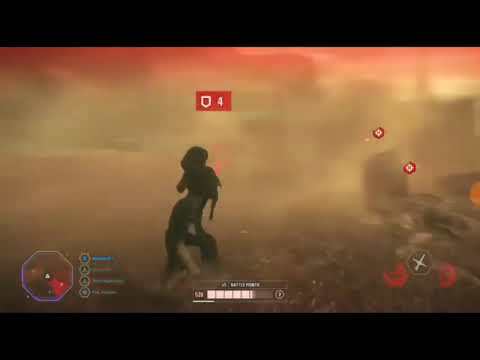 DICE should damage cap it at 300 with no star cards, and then add a buff to 400 damage to one of the 2 heroic might star cards, that would still make it one of the strongest abilities in the game (up there with starcard Boba rockets and starcard Boskk tripmines), without breaking HvV. I have killed Anakin many times, no issue there. But that doesn't make it ok to be able to OHK 4 Villains with one single move. I won't say he can't be killed, because I've killed many of them so far with the Stinger Pistol, but I was killed by his Heroic Might on Naboo, OUTSIDE, not ANYWHERE near him. I didn't shoot at him, didn't even see a hero on the radar. So how is that fair? I am not complaining about the ability, because people dumb enough to shoot at him should be killed, but the distance is over-powered, and the damage should only reflect to those that are dumb enough to shoot at him. 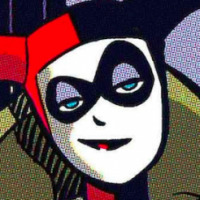 >Also forgets that all it takes is one person to be a fool and tons of others suffer from the OHK blast. Honestly, in my opinion, he could maybe be toned down just slightly. The whole “chosen one” thing is kind of lame. Not a nerf per say, but tweaked. For the record, I am very salty that I can’t seem to get my hands on him. But I blame DICE for this ridiculous and blatant content stretch, not the players. Well, I won't read the whole thread, but Anakin has no weakness when It comes 1v1. No weakness, no villain will be able to touch him if the Anakin it's skilled enough. No villain will be able to take him 25% of Anakin health if the Anakin it's good. People say his Heroic might it's his stronger ability, I disagree I find his Pull + Passionate strike + 2 swings the best combo in game, it will be enought to take 70%+ of an enemy health, and the enemy can't do nothing about it, especially if he has no block. 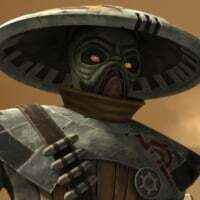 The hero that I think has more chance to beat Anakin it's Grievous. And if the match it's long enough (HS), 1v1, and Anakin has his Choke, he already won. 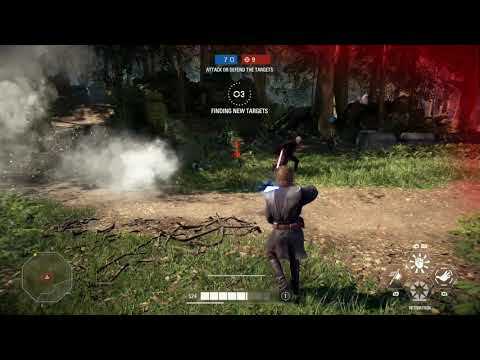 I think and believe that what makes good players in this game it's their mobility, and Anakin kills every hero mobility with his pull, you can't use tactics like take distance, etc. For GA, I believe his Heroic might it's extremely OP, if you jumped while a hero, you're dead. 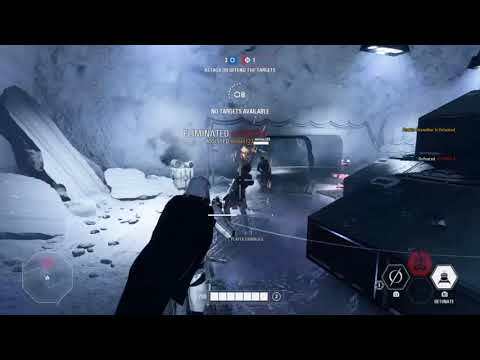 Iden, maul, Phasma, Bossk, Kylo can't do nothing againts him (If he's a good player). 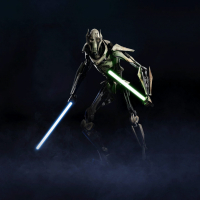 Dooku and Grievous are your better choices to 1v1 him. Anakin has still way, way more advantage, but those 2 are your best to go, Iden being the worst to go. Vader is a good choice to 1v1 him too. ^ Appreciate and thankful for the insight. Excellent points. Always a pleasure hearing from one of the greats. Farming turnips shows nothing lol. 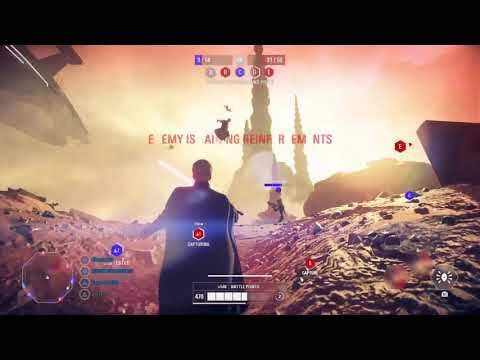 Only a braindead Anakin would actually take any perma damage from Phasma. 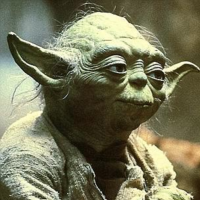 If she's in her hidey hole with droid, pull dominance into passionate strike and ruin her. Make sure to activate your lol 80% DR first to make Phasma's laughable peashooter (which you can block though you won't need to anyway) do about as much damage to you as a literal watergun. 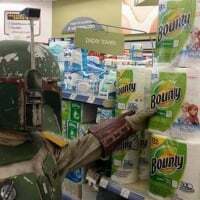 Every other villain except maybe an aimbot Boba is at a large disadvantage. Generally, just don't engage him alone. I used to consider Iden kinda OP (used to, I didn't knew his droid was blockable lol), but even Iden has no chance vs a good Anakin, and by no chance I mean even a player with 1k+ hrs could take 20% damage from good Anakin. I've been beating pub HvV Anakins 1v1 with her pretty easy (if your roll game is stronk you can dodge all but Retribution) but I haven't actually run into a decent one with good cards yet I think, and if I did I don't think I'd be able to win very much. 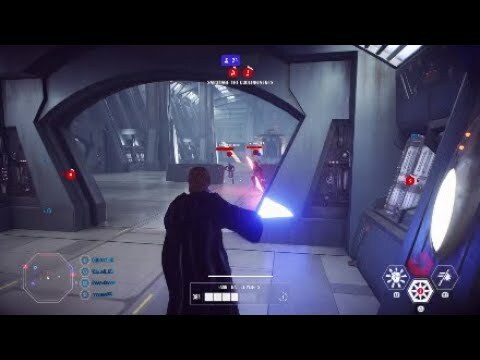 Further problem is even bad Anakin's can still get lucky and "outplay" you with the saber magnet or just OHK you from 20m away throgh a wall while you're dealing with someone else (like the button masher Obi Wan with 4000hp who takes 10+ seconds of rolling around and hitting headshots to kill), because your defective blueberries feed Anakin's heroic might and you just happened to be in the same area. I don't think any ability in this game should be able to deal the kind of damage that heroic might can do. The most damage that any other heroes'/villain's ability in the game can do to a single target (before star cards) is 200 (a tie between Obi-Wan's defensive rush, Han's Detonite Charge, and Lando's Sharp Shot, so why in the world does Anakin have an ability that can one shot multiple full health villains with no starcards? It's ridiculous to say the least. Han's Detonite Charge may go up to 240 damage with a Star Card, but it's still way below Iden's Pulse Cannon that can deal up to 362 damage. But besides that I agree Heroic Might is doing too much damage. In my tests I managed to make it deal more then 800 damage, but I believe the ability is currently uncapped. Will try to make this the last from this patch. Match was pretty interesting, I was Iden and my team mate Dooku (he was a good player) vs an Anakin and Obi wan. Both were on a party because they picked Anakin till last round and were together, they both had all at lvl 40. I killed Anakin and ended with 150 health as Iden and my dooku partner had low health too. I shocked Obi wan and landed tons of headshot from a large distance as iden like 2 times but his health was still big, so I noticed something was wrong, but my dumb partner decided to go 1v1 with him at the top of a cube in deathstar, he died and then Obi wan ended me with mind trick and his rush thingie. My first and hopefully death in this patch. Can't comment on melee, but yes and no to the Stinger. The actual hit, and the first 2 ticks of the Stinger DoT will be 90% reduced, but if you keep pumping more and more into him, then eventually the damage ramp will be far too big for him to deal with. When the animation ends, so does his 90% reduction, and he'll either die, or lose a LOT of Permahealth. It's a guaranteed kill if you have 2 specialists doing this. 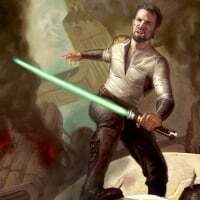 Oh, look an Anakin nerf defense thread that provides zero rebuttal to how overpowered Anakin is on GA. 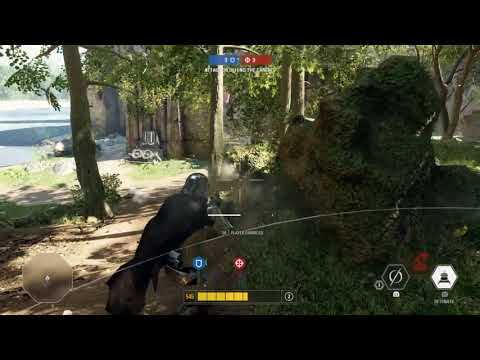 If we're going the counter defense here, what's your counter to an anakin spawn trapping the opposing team with heroic might. 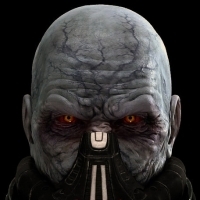 Starkiller base phase 2 is the absolute worse right now. What's the other team supposed to do? Maybe next time oresent a better argument than just one game mode where you show a couple of highlights of you killing an Anakin once in HvV. Dude probably wasn't even up to lvl 25 yet. What are you gonna do then when he's got 1k HP, GG's saber output minus the fatigue drain and a quicker guard break refresh? Good to see so many responses, albeit from those claiming he can't be beaten in every other post who are now saying 'well no I beat him easily lol that's not the issue'.....hang on....if you beat him easily, why request a nerf? Its not like he has retribution from the off, the charge for it resets when he dies. And heroic impact - see my last video - avoid him for a mere 3-4 seconds and he either doesn't hit you if you block/are far away enough/behind cover. If you hit him repeatedly, letting him absorb your damage, and then he one hits you...that's on you for being daft. No-one else's fault. Also amusing that when you beat an Anakin player its because they are terrible. But if he beats you its because he is completely OP. Some good counters in the videos above, and with Phasma (who the forum gods have decided is one of the worst, if not the worst, villain).....and the immediate responses are either its a bad Anakin player/I can do that in my sleep lol. So if you can counter, why complain? I am sure everyone crying for a nerf has made out like he is unbeatable for literally every second of a match he is involved in. Which is not true. Maybe then...you are all bad players actually? I dunno. Hes not hard to beat and you don't get OHK every time he uses heroic impact like people are trying to say. ...that's on you for being daft. No-one else's fault. 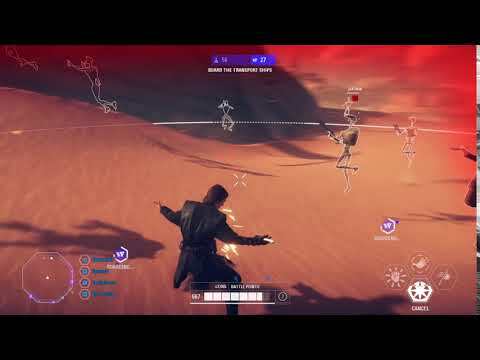 I've been killed by an Anakin player 3 times now, outside, without any heroes on my mini-map. How is that MY fault? That is the one thing that isn't right, the amount of damage and distance it can travel if your teammates are dumb. The extra damage should ONLY be reflected back to those that are dealing the damage, nobody else, period. The only thing that is more annoying than this, are the people that play GA like it's SFA, and get into an air vehicle and get easy kills on people. 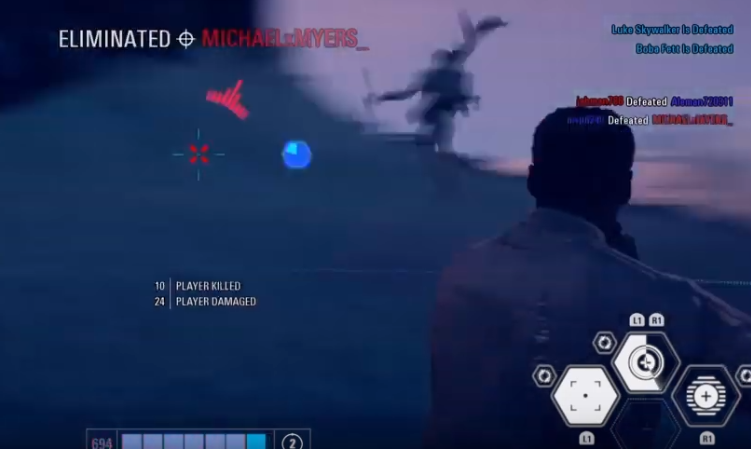 Those hacks are pathetic, at least the Anakin player doesn't force you to switch classes just to deal with them, and doesn't have an jamming device to block your only means of killing them anyway. If you want to fly a bomber and go back and forth in the air, go play SFA. I only watched one of the videos, and he basically just rushed thinking he was a God. I've been guilty of doing that too with Anakin, I let myself get into stupidly dire situations just so I can attempt to 1 shot them with Heroic whatever it's called. The first game I played as Anakin it was easy. We played on the defensive and I ended up with 36eliminations and 3 deaths, but the more I played, the more people became acustomed to fighting against Anakin. I would like to add that this was on PC, where the average IQ of each player is higher than a cold cup of tea, unlike console players(this is a joke, don't get overly mad). Stop quoting the original post please. It’s causing a lot of clutter. 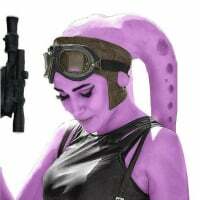 Im totally ok with the fact Ani is counterable. But Im pretty sure the first who played against you as Phasma was the noobest player in HvV. Who the heck tries to kill Phasma inside the closest radio from his droid and being stunned even persist on it? Last name of that Anakin was Dull. I do agree with you and @Important_info101 on this - player can be a big factor. I guess I wanted to highlight that too. 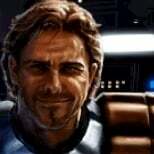 The Anakin nerf group are effectively trying to say ANYONE who plays Anakin will automatically become OP, kill everyone in one shot repeatedly, be unbeatable, etc etc. A poor player will remain a poor player, even with Anakin. You did well to beat Anakin there, but unfortunately bad players walking into Phasma's droid radius doesn't mean he can be countered. All Anakin has to do against Phasma is use Pull dominance to bring her to him, then it's basically over. Follow up with Passionate strike and then stun lock her. She cannot roll out of his combo after being hit by Passionate strike. 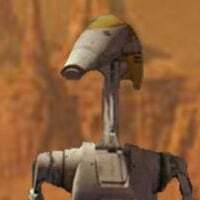 Anakin is my favourite LS character in star wars. Ive played as him plenty and if you cannot see that he is broken by those clips then ur a deluded fool. Ive seen people with as high as 300 odd kilstreaks with him. Anakin's design is just awful and terrible. No thought to balance. 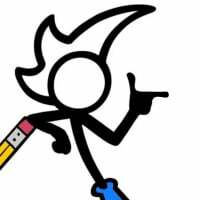 Now they are nerfing and nerfing and nerfing and trying to find a way to bring him back into the realms of reality, but what he really needs is a redesign. When did I make this thread?!?? Oh really he can be beaten?? Thanks but I figured that out already and we didnt ask for it or a how-to but thanks anyway!